It took me darn near FOREVER to finish this recipe book AND I am not even completely finished yet. I still have to add a few finishing touches, like a ribbon closure, yes? no?..... 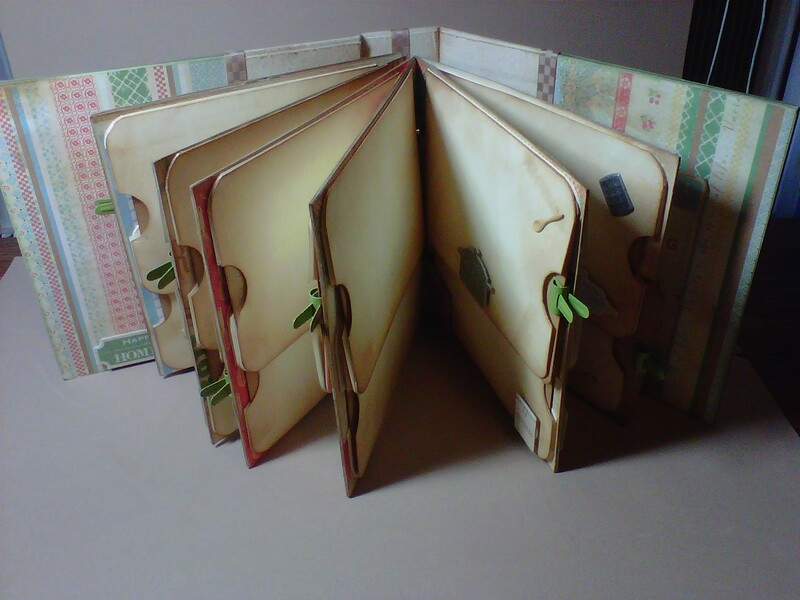 but I wanted to get this on as it would make SUCH an awesome Christmas gift. It didn't take forever because it was difficult, far from it, but because I have a bad habit of starting 100 things all at once! Here is the cover, the back matches, sans the buttons. I used Bo Bunny 6x6 chipboard binder album, painted the edges, adhered my designer papers, sanded the edges, inked them, added my ribbon, floss in my buttons, then my buttons. 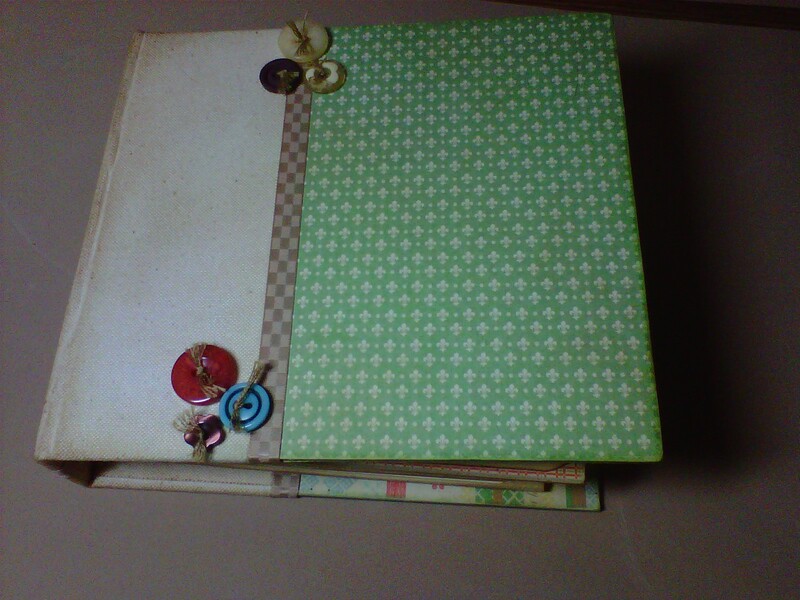 The pages of the album are also chipboard and I did the same things with the edges & paper. 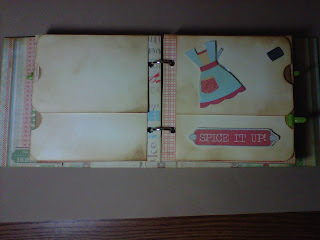 I used a Sizzix envelope die to make the pockets. I cut off the end and punched a half circle for the notch. I distressed them to death but I think they look pretty good.. There are two on each page and there is one recipe card in each. 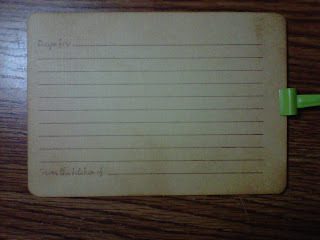 I stamped and distressed my recipe cards on cardstock and rounded the edges with my crop-a-dile. 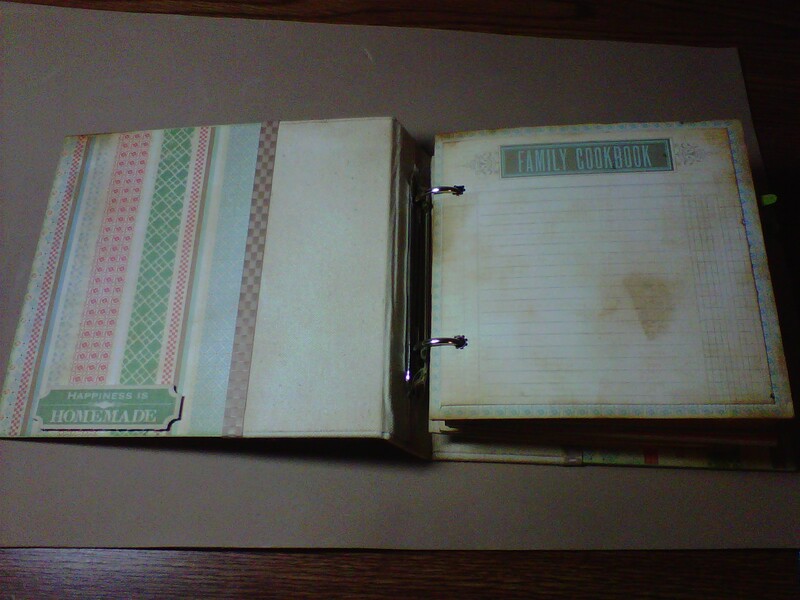 A very easy and fulfilling project. 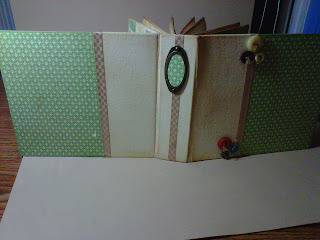 Of course I got everything I used at Scrap Happy. However, the paper line I used is an older line that has been discontinued, but Susie has some gorgeous papers that are perfect for a recipe album. Right now she has some new Crate Paper Farmhouse in both 6x6 and 12x12. Very beautiful papers. I am stocking up as we speak to make a couple with that line so YOU had better get in too! 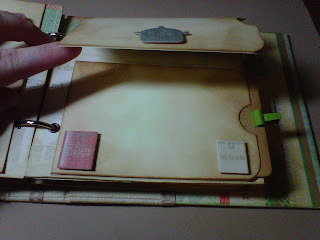 I used my Tim Holtz distress inks, Jenni Bowlin paint dabbers, Zip Dry paper glue, & embellishments and accessories from Scrap Happy, with the exception of the library clips. 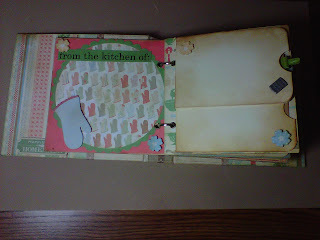 BUT, I am working on another recipe album using mini clothespins which I dyed with re-inkers (or alcohol inks) and will be using those in place of the clips. I am sorry that I won't be able to have this particular one on display at the store, it is a gift, but I will try to take better pictures during the daylight hours and post more later.